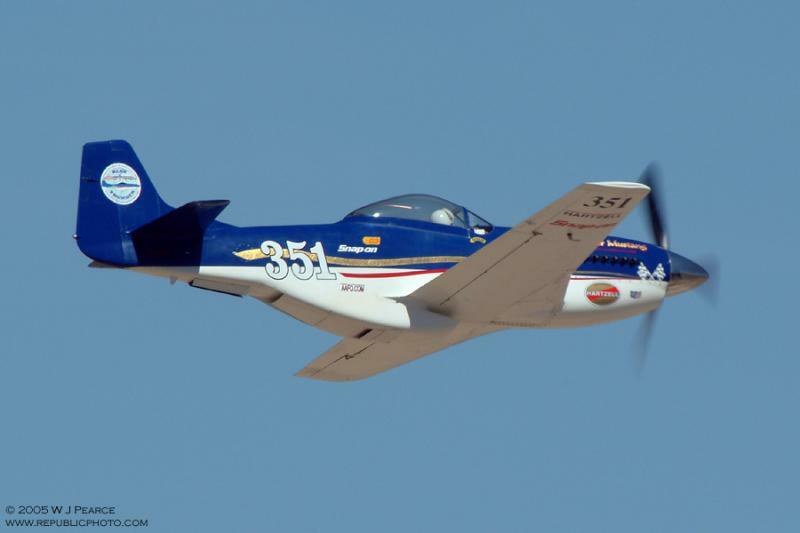 Blue Thunder, an all composite kit-built 3/4-scale North American P-51D Thunder Mustang. Built by John Parker and Tom Taylor in their shop, American Air Racing. This aircraft is raced by John Parker in the Sport Class.